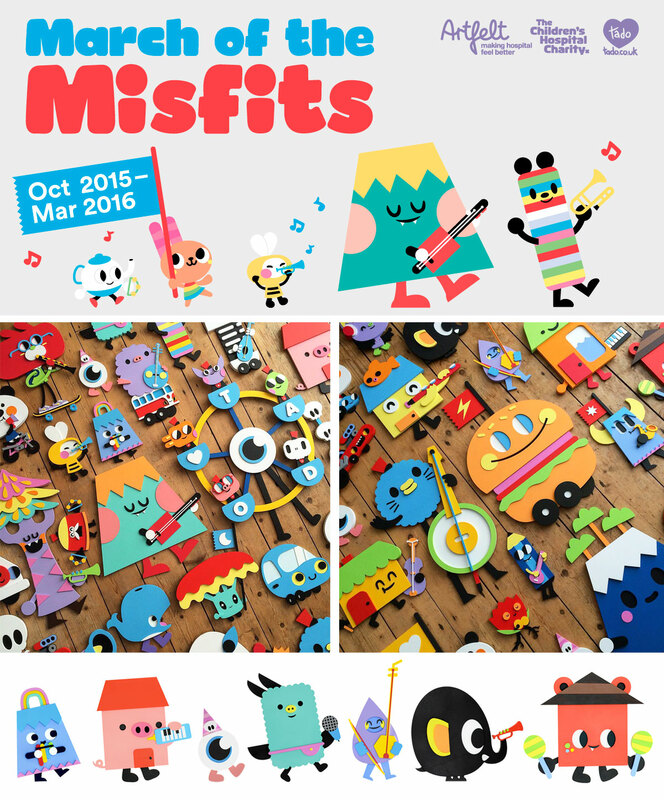 March of the Misfits will be a fantastical parade of over 40 wooden characters adorning the walls of the hospital to brighten up the lives of the kids and staff alike. If you’ve been following our Instagram / Facebook / Twitter you may have already seen some peeks of what we’ve been up to – we’ve certainly been having a lot of fun with the preparations for the show. The exhibition opening is going to be on October 28th from 5:30-7pm at the Long Gallery – for more information check out the Facebook Event and RSVP at the Eventbrite page here. All the artwork will be available for sale to raise funds for the fantastic Children’s Hospital Charity and the Artfelt arts programme. Stay tuned for more updates!